Sutliff & Stout, Injury & Accident Law Firm is proud to sponsor a nationwide scholarship contest for minorities pursuing a legal career. According to ABA’s National Lawyer Population Survey, only 12 percent of active attorneys identify as Hispanic or Latino, African American, or Asian. 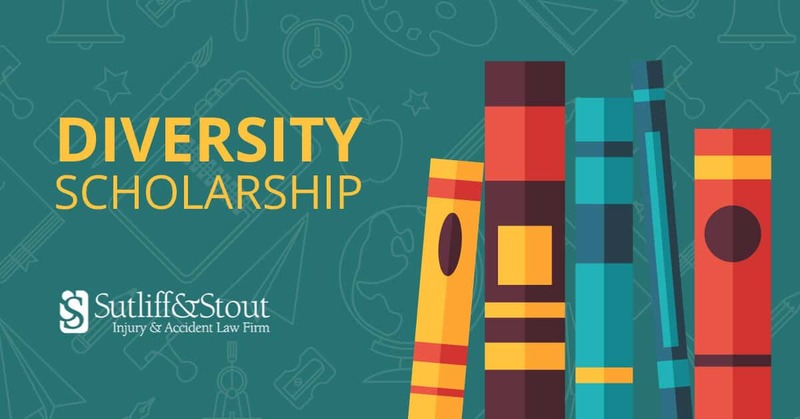 To do our part towards promoting diversity within the legal profession, we are offering an annual $2,000 minority scholarship to be put towards legal education costs. To qualify, candidates must be accepted to, or currently enrolled in an accredited law school or paralegal program. We are asking applicants to write an essay answering the question: How will your law degree help your community? We will select a recipient by no later than August 15, 2019. The recipient will be notified via email at that time.